The unofficial headquarters of the Gringo Trail which traverses Latin America, Cusco is – and was – the capital of the ancient Inca Empire of Peru. Although centuries have passed since this once mighty force was all but wiped out by invading conquistadores, Cusco still shines resplendent in their glory. The mesmerising ancient walls built with nothing but ingenuity, alongside glorious architectural remnants of the colonial era, make this small yet captivating high Andean city an absolute highlight of any trip to Peru. For although it may be primarily known as the gateway to infinitely famous Machu Picchu, Cusco is a hell of a lot more than that. Cusco has been a thriving settlement for over a thousand years and is considered one of the oldest cities in the Americas. Spaniard invaders loved to boast that they ‘built’ Cusco from the ground up when they arrived in the mid-16th century, yet in truth they razed an already bustling city, home to almost a quarter of a million people. Luckily, the Spanish didn’t do too good a job at eradicating the city’s illustrious past, and it’s the mix of old and older that make it such a fascinating, and aesthetically beautiful, place to explore. Read our history of Cusco article to get a deeper understanding of just how important the city, and always has been, to Peru. Life in Cusco centres on the marvellous Plaza de Armas, which is framed on all sides by everything that makes the city special, like important historical landmarks, fantastic shopping, excellent food options and great cafés and bars. Along the arteries which shoot off from the main plaza is where you’ll find the hidden gems. Boutique hotels, trendy shops selling exclusive souvenirs and a host of markets, museums and eateries. 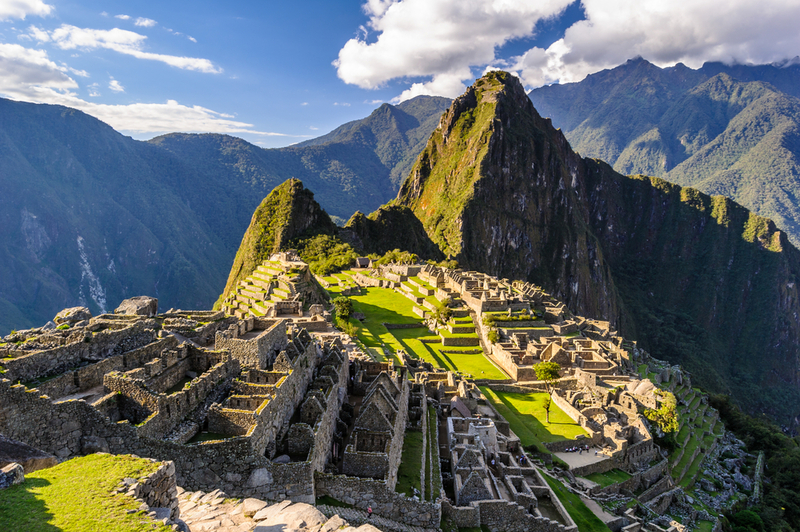 Discovering these is what lures visitors to stay longer and dig deeper, so that by the end of their visit they will have almost forgotten all about Machu Picchu. But yes, at the end of the day, if heading to Cusco you’ll primarily have only one thing in mind: to make the pilgrimage to one of the most famous archaeological sites on the planet, and to explore the ancient civilization which has ensured Peru become the leading travel destination in all of Latin America in the 21st century. With exceptional Inca ruins literally bursting out of the seams that have shaped this vibrant city, your cultural and historical tour de force in Peru will have Cusco as its most celebrated centrepiece. 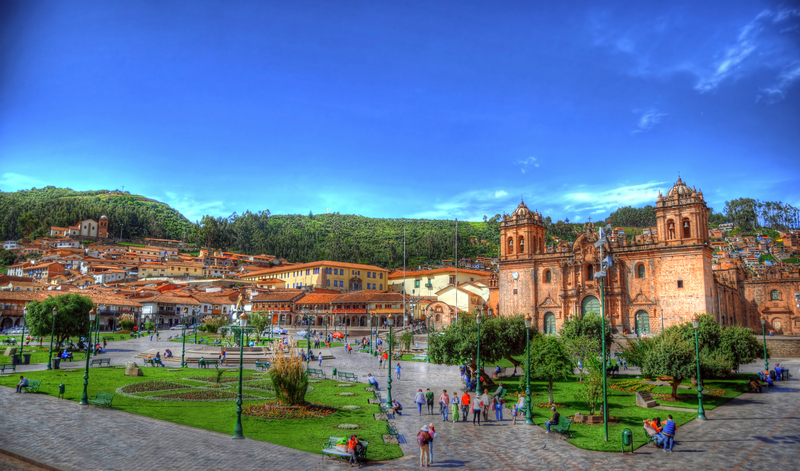 Cusco is the unrivalled tourist capital of Peru and a UNESCO heritage listed city. The funny thing is, many first-time visitors assume its glorious reputation is only due to the fact it is the closest city from where to explore Machu Picchu, when in fact, the city itself is a treasure-trove of exceptional highlights. So don’t be fooled into thinking you should only spend a couple of days here on way to more rewarding horizons, and give this incredible city the time it deserves. Plaza de Armas – One could spend hours just sitting on one of the benches of Plaza de Armas, watching life pass by. Given the city’s altitude and lack of abundant oxygen in the air this actually turns out to be a common thing for visitors to do. Luckily, their eyes can have a phenomenal feast while they scan the surroundings. 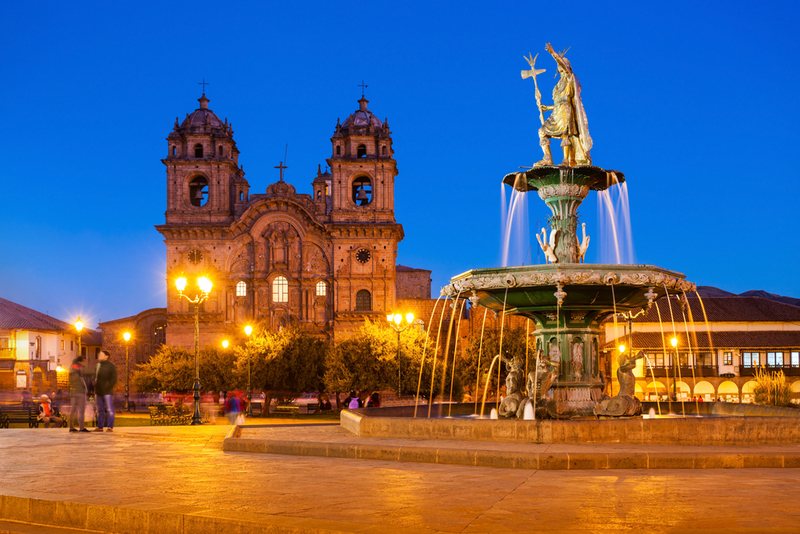 The Square of the Warriors, as the Plaza was known to the Incas, is as breathtaking now as it was back then, except now it’s the imposing Cusco Cathedral which is the focal point. Beautifully kept flower gardens, a grand fountain and walking paths separate the Cathedral from the equally impressive, late 17th century Compania de Jesus Church, an ornate Baroque church which caused quite the stir while it was being built. Fearing it would outdo the Cathedral, the Bishop of Cusco sent word to the Pope to order the Jesuits to tone down the design. But by the time the Pope’s message made its way to Cusco, alas, the church was all but complete. Inside you can admire stunningly elaborate golden altar and statues, and stand in awe knowing that the church was built atop the Huayna Capac Palace, home of the last Inca ruler. The Church of Jesus Maria and the Triunfo sit on the side of the two main churches, with picturesque colonial arches completing the frame. 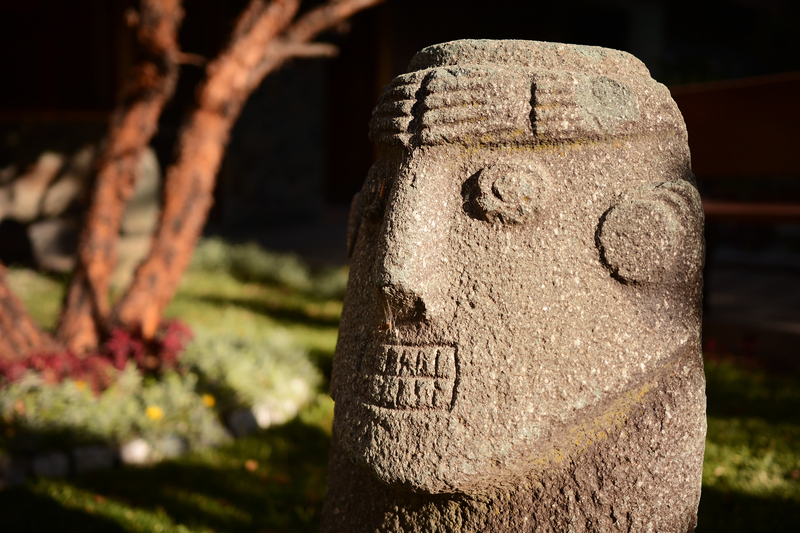 Museum Inka – Don’t pass up the chance to learn more about the ancient Incas by visiting the dedicated museum held within the glorious walls of Admiralty House, built atop Inca ruins to serve as the not-so-humble abode of Admiral Maldonado. Severely damaged during two of Cusco’s most devastating earthquakes, the mansion was restored and is now one of the most beautiful colonial mansions in town. Inside, you’ll find a vast collection of textiles, ceramics and sublime ancient jewels. Museo de Arte Precolombino – If you arrived in Peru via Lima then you will have hopefully visited the Larco Museum, the most impressive in the country. Well, the collection there was so extensive that it was decided the overflow would be showcased here, in the former mansion of conquistador Alonso Diaz. 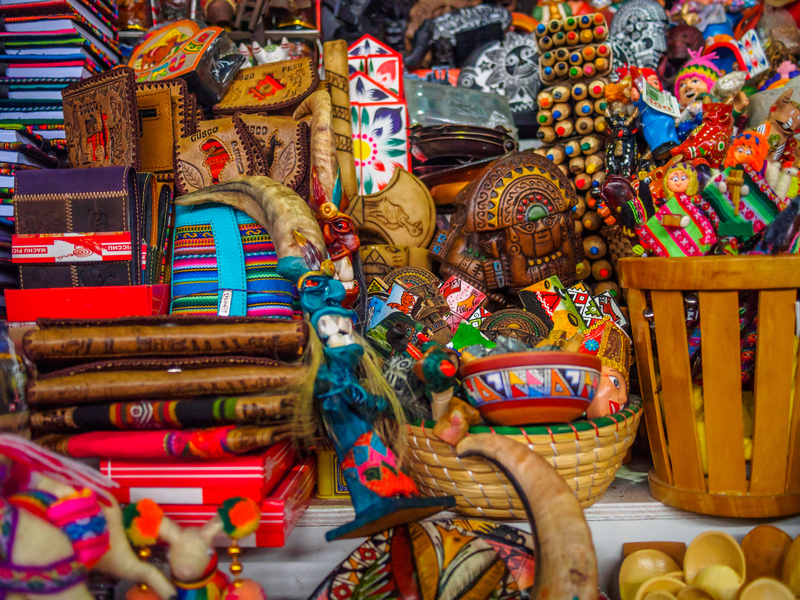 A thoughtful and very impressive selection of over 400 pieces is found here, including artefacts from all over Peru (with priceless finds from the Nasca, Paracas and Chimu cultures) dating back over 3,000 years. The Church of La Merced – After the Cathedral and the Compania, La Merced is considered the most important church in Cusco, not least of all thanks to the jewel encrusted gold monstrance housed inside the sacristy. Plaza San Blas – Head uphill north from Plaza de Armas on a Saturday and you’ll find this cobblestone square filled to the brim with market stalls. Artisans and growers head here from the surrounding areas to flog their wares, making for a colourful and lively spectacle. The terrace just above the plaza offers spectacular views of Cusco’s fiery red skyline, making this a particularly great place to visit of an evening as well. The walk up is a bit strenuous for some, but luckily there are plenty of unique shops and cafés framing the ancient alleyways, so have plenty of time up your sleeve or you’ll get so side-tracked you’ll run the risk of reaching the square way after sunset. Not that it matters, San Blas is a buzzy place of an evening and is perhaps the nicest area to stroll after Plaza de Armas. Planetarium Cusco – This small but excellent planetarium is headed by one of the most enthusiastic star-crazed families you’ll ever meet, who run captivating evening tours that are refreshing to say the least. If you’re into stargazing but normally resent being lectured by experts who use more jargon than enthusiasm, then head up here during your visit and you’ll be delighted. San Pedro Markets – Overwhelmingly big and filled to bursting point with everything made-in-Peru under the sun (and even a healthy amount of made-in-China) the San Pedro Markets are a shopping mecca bar none and are also wonderful if you wish to see the amazing and unique fresh produce grown in the region. Cusco is awash with more markets, museums, colonial treasures and stunning ancient monasteries which have been converted into the city’s best hotels and restaurants. So enjoy your exploration and have fun discovering all this incredible city has to offer. Don’t forget that given its prominence, Cusco boasts the best eateries in the country outside the capital, Lima, offering not only traditional fare but also a good smattering of superb Western food. It’s impossible to talk about Cusco without mentioning Machu Picchu, the Sacred Valley and Saksaywaman, although none of those are technically landmarks of Cusco. Nevertheless, considering the chances of you visiting Cusco and not exploring the surrounding Inca highlights are probably zilch, they certainly warrant a mention here. Visits to Machu Picchu (either via the Inca Trail or by train/bus) are still the #1 thing activity of choice in the whole South American continent and invariably remain the fondest memory of a visit to Cusco. Yet before you embark on your journey to this most prominent of sites, you ought to get an introductory tour to the ancient culture, and Saksaywaman will be your best forerunner. This is the most important archaeological site close to Cusco and a fantastic day-trip destination will include this, and three other equally notable sites. The Sacred Valley of Peru was, alongside Cusco and Machu Picchu, the heart and soul of the Inca Empire. The commanding Andes Mountains separate Cusco from the valley, which at the time helped protect the city from sporadic incursions by fierce tribes which lived in the jungle. Yet aside from the strategic military location, the Sacred Valley was also the centre of Inca agriculture, and on a day-trip you can soak up the startling views of agricultural terraces along with intense sightseeing in the two main hubs, Pisac and Ollantaytambo. Given the proximity to the starting point of the Inca Trail, a tour of the Sacred Valley is usually, and easily, combined with a trip to Machu Picchu. 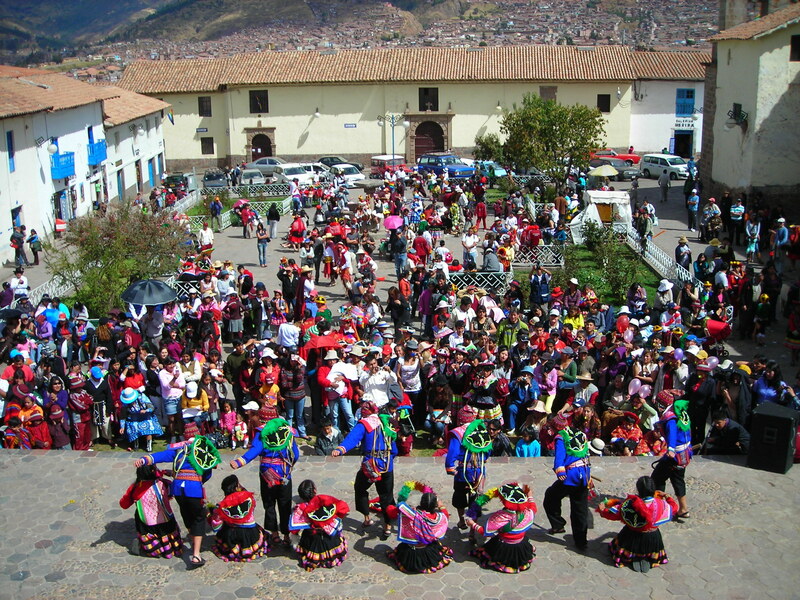 The high Andean region home to Cusco is best visited during the dry season, which runs from April to October. As this is a remote region of Peru, modernity notwithstanding, heavy rains still play havoc with transport and roadways, so steering clear of the wet season just about guarantees that disruptions to your trip will be minimal. June, July and August are the busiest months of all, with the city, and Machu Picchu, crowded with tourists from all over the globe. Long lines into museums, crowds at every stop and higher accommodation prices make this a more challenging time to visit, with bookings made months in advance. If you do have the option, then choose to travel to Cusco in the shoulder season. The months of April, May, September and October offer still brilliant weather, with startling blue skies and crisp temperatures making it blissful for sightseeing and hiking, but fewer tourists mean everyone gets a little more room to move. Cusco is an excellent overland stop for travels originating either in Lima or La Paz, Bolivia. The city’s location means attractions along the way include some of South America’s best bits, including enchanting Lake Titicaca, glorious Arequipa or fascinating Nazca along the famous Pan-American Highway. Reaching Cusco by road also means that you’ll have a chance to acclimatise to the altitude slowly, and won’t suffer as you would if you were to fly in instead. Nevertheless, if you take your time at arrival you can actually enjoy Cusco from the moment you hop off the plane. 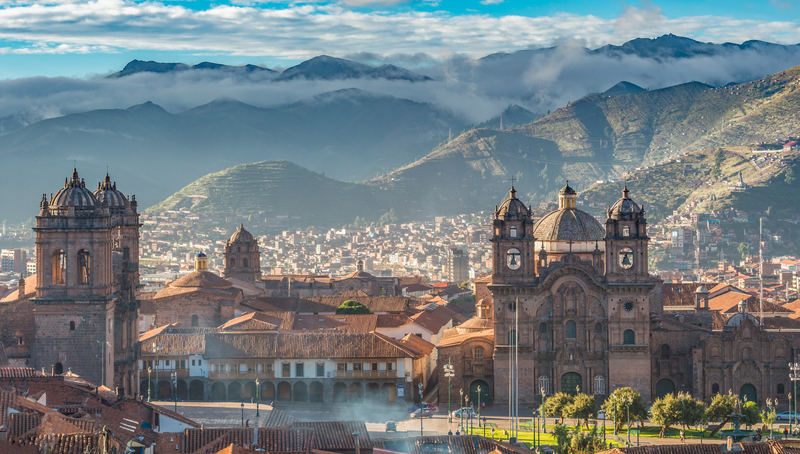 Flights into Cusco’s increasingly popular airport connect you directly to Lima and La Paz in Bolivia. From either city, you can catch connecting flights to all major South American cities. For exceptional travel experiences in Cusco and beyond, feel free to get lost in our extensive collection of pre-planned tours, or ask us to dream up a once-in-a-lifetime bespoke journey to this unforgettable Peruvian destination. Contact us to start your South American adventure! A classic adventure in the Inca heartland from Cusco, to the Sacred Valley towns & countryside, as well as the famous Inca Trail hike to Machu Picchu.